Finding a good place where you can order cheap personal checks can be tough. There are lots of companies out there that are ready to take your money — in exchange for inferior checks. That is why you should only shop with a trusted company like checkworks.com. Here, you will find a wonderful assortment of checks from which you can choose, and our prices are quite competitive, especially when compared to the prices your bank charges for a box of checks. In addition to selling quality, personalized checks, we offer a wide range of accessories to help keep your finances in perfect order. Our check registers provide you with a detailed record book for keeping track of all of your purchases. Whether you are buying a basket full of groceries or paying for car repairs, you can make note of it in your register. Then, at the end of the month when it’s time to balance, you will know exactly where your money went at a glance. Our other accessories include checkbook covers and calculators. The covers are handy, stylish additions to have in your purse. They keep your checkbook, register, and other items, such as a pen, handy and secure in one place. The various styles make it easy for you to find one that matches your personal tastes. You can keep it simple with a solid-colored cover, or you can jazz things up with a vivid design. Our calculators are super handy, too, especially when it comes to shopping. With our calculator, you can keep track of how much you are spending as you grocery shop. Knowing how much is spent makes it easy to see if you are going over your budget before you get to the checkout line. You can also easily fit our calculators inside one of our checkbook covers, so it is always within reach for your next shopping excursion. Here at CheckWorks, we strive to provide our customers with quality products and a secure ordering process — something that is very important when it comes to giving out your checking account information. Contact us today to learn more about our selection of checks and accessories. This entry was posted in Personal Checks and tagged cheap personal checks, Checking accessories on September 30, 2014 by cwadmin. Are you thinking about starting your own business? It’s not a bad idea; small businesses are the backbone of the United States, so entrepreneurialism is more than encouraged. In fact, even in many of our country’s urban sprawls you’ll see unique mom and pop shops, specialty stores, independent coffee shops, start-up tech companies, and beyond. No matter the size of the company, be it a one man operation or a restaurant with over 40 employees, each and every business needs to be equipped with business checks as well as a business checking account. This is no matter of method or opinion, either; businesses are in a better legal positioning if they have their very own business bank account. One of the silliest mistakes that a business owner can make is to operate a business out of a personal bank account. Outside of plain ignorance, there is little excuse as to why you wouldn’t have a dedicated business account, especially since most banks offer free business checking accounts. While starting a small business bank account can sound like a headache, it’s actually pretty easy. That is, of course, if you have all the proper documentation necessary. Why Should You Keep Your Personal and Business Accounts Separate? The answer is simple. It doesn’t matter whether you’re running a limited liability company, a corporation or a partnership—nor does the size of your company matter—if you’re legally conducting business and have separate accounts, then the courts will look at your business as a separate entity from yourself as an individual. Let’s use a hypothetical scenario in order to illustrate the point: if you were to have a lawsuit brought against your business, then only your business could be sued; not you as an individual. However, if your personal bank account and business bank account are one in the same, then the courts will see you and your business as the same entity. A scenario such as this has the potential to get extremely messy and deal immense damage to your personal finances, so do yourself a favor and set up a separate business bank account right away. 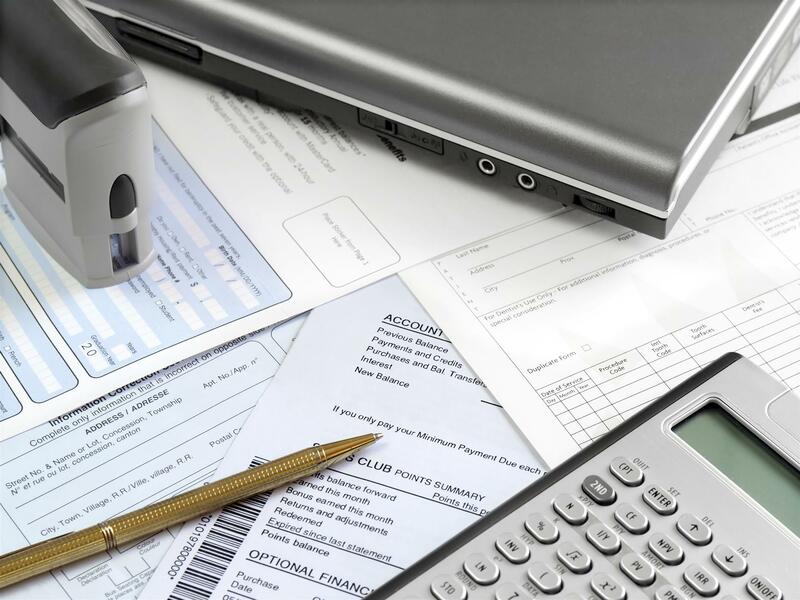 By maintaining a business banking account separate from your personal finances, you will be able to handle your taxes in the most beneficial way possible. The IRS will require that you file your personal and business taxes independent of one another. Having to go through a single account and separate the business expenses from the personal can be an arduous undertaking that can easily be avoided by keeping these two accounts separate to begin with. With a business account, you are also able to order business checks online from the convenience of your office or home. 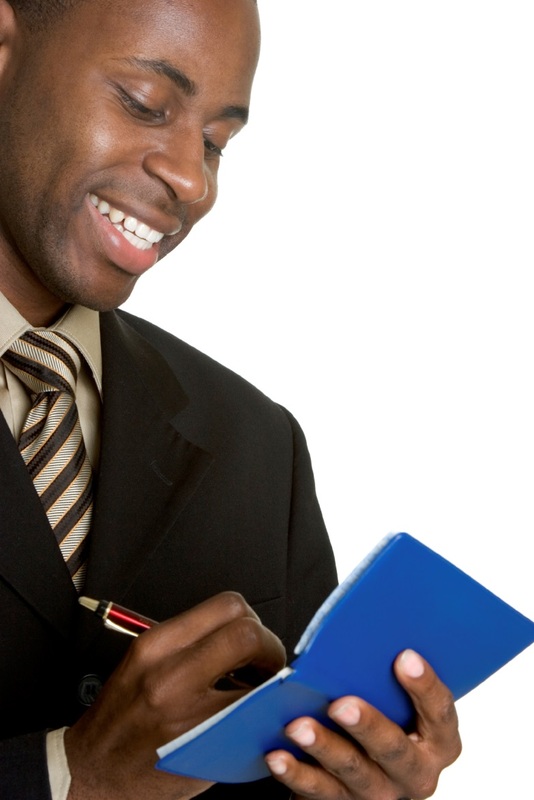 Also, business checks will help to give you the appearance of a professional, legitimate business. In the business world, there are few things more questionable than receiving a personal check from a business. When a customer, employee, or vendor sees a check with your company’s name on it, they gain a strong sense of professionalism, trustworthiness, and stability. If they see your personal name on the check instead, they may develop a few personal ideas about your company’s image, and when it comes to small business, reputation is everything. Avoid this pitfall by ordering both physical and online business checks. How Do You Actually Open Your Own Business Checking Account? The next step beyond understanding all of this is to actually put it into action. It’s extremely important that you actually do what is required by the local, state, and federal governments in order to set up a business account. To get started, you will want to know your business structure inside and out. Are you running a limited liability corporation, a partnership, or a sole proprietorship? Knowing your structure will help you to set up your accounting situation, which will ultimately help you to know whether you need a business bank account or a credit card and merchant account services. While there are numerous options to choose from when deciding what type of business bank account you will need, it’s good to know that many banks also offer free business banking accounts as well. Although they may lack the special services and perks of one of their signature accounts, starting with a free account can be your first step toward something much greater. This entry was posted in Business Checks, Personal Checks and tagged business checks, Personal checks on September 25, 2014 by cwadmin. When you order personal checks from your bank, you probably don’t give it much thought. You choose a color and style you like, place the order, and get on with your day. 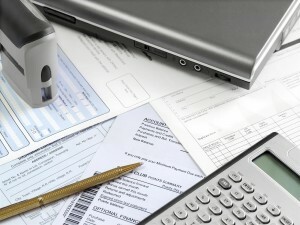 You don’t think about the price, because you don’t realize that you can order your checks from other vendors, including checkworks.com. When you order your new checks from us, you can still choose the style and color you want — you just won’t have to pay so much for the privilege. Write checks instead of using your debit card. When you write checks, you think more about the purchase. Let’s face it — swiping a card is easy. It is also easy to forget that purchase, which could lead to an overdrawn account. Writing checks forces you to think about the purchase and make a record of it. Create a budget that separates your necessities from your non-necessities. Avoid spending money from your rent budget for that unexpected night on the town. Instead, allot yourself a certain amount of money each month for extras. When that money is gone, bite the bullet, stay home, stick to your budget, and, maybe the next month, you will be able to afford to go out. Balance your checkbook every month. It may be a chore, but reconciling your checkbook with your bank statement can help you find any unusual discrepancies. If you use some of our handy accessories, like our detailed check register or our useful calculators, you can take some of the hard work out of balancing your checkbook. The time devoted to making sure your records match will pay off when you catch that one suspicious charge. Life is hard enough without having to deal with the stress of financial worries. These worries include the smaller details, such as ordering new checks. Checkworks.com is here to help relieve some of the stress from your life, so contact us today and place your order. This entry was posted in Personal Checks and tagged Financial tips, order personal checks on September 12, 2014 by cwadmin. You have a bank account and a checkbook, but having isn’t everything. Do you know how to properly write checks and balance your checkbook? In a time when so many people are getting used to their debit and credit cards, checks still have an important place in the world. Countless people still write checks in order to pay rent, bills, and to make large purchases. There are many benefits to using checks that no other form of payment can really offer, so it’s great to always have a supply of checks on hand. In your pursuit of becoming a financially stable and responsible person, learning how to balance your checkbook will do you wonders. By keeping a balance of your accounts, you will have a finer grasp on your finances than ever before. Most people these days rely on electronic banking systems to track when and where their money is coming in and going out. While this is a reliable method for the most part, even computers are prone to error. Also consider that we’re living in a time where identity theft is more common than ever. For these reasons, it is good to place some reliance on ourselves to manage our own finances, or at least to keep a watchful eye on things. To get started, understanding the anatomy of a check is essential. Understanding this will help you to know what information goes where on the check itself. Armed with a checkbook register, deposit slips, paystubs, receipts, and banks statements, you’ll be well-equipped to watch your own back in order to ensure that your finances are straight. This entry was posted in Uncategorized on September 10, 2014 by cwadmin. When placing your next order for new business checks with checkworks.com, make sure you order a new check register, too. Our check registers are designed to help you keep track of business purchases with ease. They also feature a handy calendar, so you can see at a glance particular days of the year. Address labels — these handy labels make it a snap to add your business address to business correspondence. These labels provide a much more professional appearance than a sloppy, handwritten address — they are also much easier to read. Business cards — you can’t have a business without keeping plenty of business cards on hand. These cards make it easy for you to spread the word about your business. You can choose to include as much or as little text as you want on the card. Just be sure and include pertinent contact information, so future customers can contact you. Checkbook calculators — these easy-to-use calculators make balancing your business checkbook fast and easy. You can quickly add and subtract numbers right there in your checkbook without having to dig out paper and pencil to write out your calculations. Financial organizers — we offer several organizers to help you keep both your business and your personal finances clear and concise. These organizers include handy tips and advice to make financial management easier to understand. Checkbook covers — our stylish covers provide you with an easy way to organize your checks, register, calculator, and any other related product. Staying organized is one of the best ways to keep your business finances in order. Here at CheckWorks, we strive to provide our customers with everything they need to balance their business budgets, as well as their personal household budgets. Before you order more checks from your banking institution, consider placing an order with us. Our wide selection of products, easy ordering process, and affordable prices make checkworks.com a great investment for your business. Contact us today to learn more about our products. This entry was posted in Business Checks and tagged business checks, Checking accessories on September 5, 2014 by cwadmin.